Mason Lewis Press, 9780989672504, 258pp. At midlife, some men want a Beemer. Kimberlee's husband wants a baby. Another one. Kimberlee doesn't. She already has two kids, her first book just hit bookstore shelves, and the only baby she wants to birth now is the young adult novel she's worked on for six years. But after nine months of trying-and failing-to land an agent for her novel, Kimberlee finds out she's pregnant. With twins. By turns hilarious and heart-breaking, this debut memoir takes you on a roller coaster ride of hormonal disequilibrium, professional disappointment, hellacious sleep-deprivation, and the black pit of postpartum depression-only to bring you laughing back to the light. 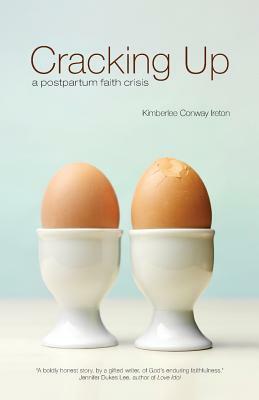 If you've ever wondered where God is in the mess of your upended life, come along with Kimberlee as she learns a whole lot about clinging to God (mostly by her fingernails) and finding grace and goodness in the darkest of life's corners.